It’s January, and we’re getting a brief respite from the bitterly cold Arctic blast that has covered much of the US for the past few weeks. If you are looking out the window wondering where that drip, drip, drip is coming from, it is likely caused by the build-up of water that froze inside your gutters — resembling ice cube trays. Depending on the size of your gutters, standing water and ice adds 6-8 pounds per foot of gutter. The extra weight, combined with the expansion of ice behind the gutters, is one of of the leading reasons why gutters fall off homes. 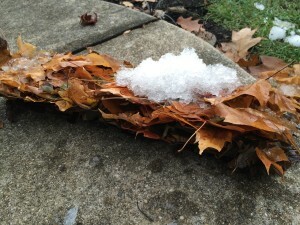 Leaves — If you’re guilty of not cleaning your gutters last fall, leaf accumulation is the leading cause of why water freezes inside your gutters. As leaves fall off trees and pile up inside your gutters, rainwater pushes the leaves toward the downspouts where it settles and quickly clogs the three or 4-inch opening into the downspout. 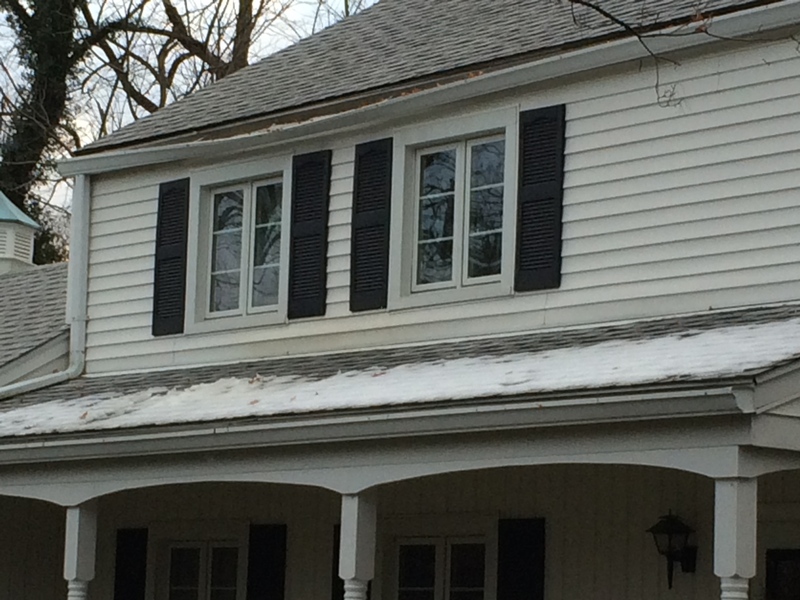 Once this occurs, the downspout is rendered useless and water will back-up inside your gutters and freeze. Clogged downspouts — Downspouts occasionally clog from leaves and sticks getting lodged inside the angled elbows and straight runs. If left unchecked, water can build-up inside the downspouts until it backs-up into the gutters, where it will freeze. “Knock” on the side of the spouts beginning where the spouts connect with the gutter and work your way down to the base of the spout. If the knock returns a dull thud sound, then the spouts are clogged in that area. If the noise resonates like it’s hollow inside, then that area is okay. Test the full length of the downspout for clogs. If you have underground drainage pipes, disconnect the downspout from the pipe and check for clogs. This is an area where leaves accumulate, and the drainage pipes will need to be cleaned out by hand, snaked, or the downspouts will need to be rerouted above ground depending on the scope of the problem. Check the seam that runs down the back of downspouts. If the seam has separated, then the downspout is clogged, no longer operational, and will need to be replaced. Improperly pitched gutters — If you were diligent about cleaning out your gutters, and water has frozen inside the gutters, arm yourself with a 2-foot level and ladder to check to see if your gutters are pitched properly. Frankly, it doesn’t matter if your gutters are old or new, improperly pitched gutters are commonplace and will cause water to pool inside the gutters and freeze like ice cube trays. If you’re unlucky enough to have clogged and improperly pitched gutters, it’s likely time for you to call a professional to help you fix these problems, but before your do, check out the 5 Questions to Ask before Hiring a Gutter Contractor. Once you have removed leaves from your gutters and downspouts, checked your gutters for level, and fixed any of the problems that caused your gutters to fill with water and freeze, this problem will all but go away. If you want to fix the problem once-and-for-all, invest in a good gutter guard system that will keep leaves and debris out of your gutters and keep you off the ladder! Question: Do your gutters look like ice cube trays? What did you do to remedy the problem? Share your answer in the comments section below, on Twitter or Facebook. Previous story Staying out of the gutter: Gutter guards can help eliminate debris. But will they take the place of regular cleaning?